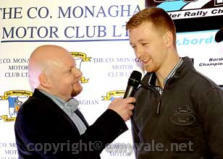 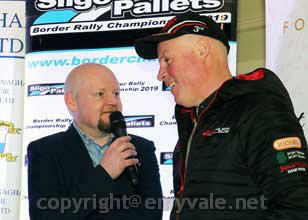 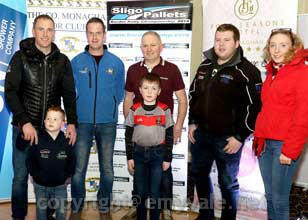 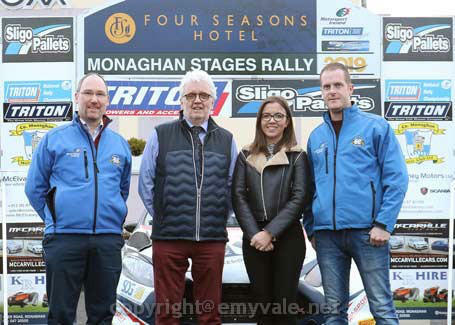 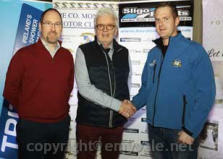 Rally 2019 Launch: On Friday April 7th 2019 the Four Seasons Hotel sponsored Rally organised by Monaghan Motor Club was officially launched in the hotel and a good crowd turned out for the event. Indeed the prospect of winning a Free Entry into the Rally did attract an extra few and the winning ticket went to Anthony McDonald, Cavan, while Gregory McQuillan won a set of Pace Notes and Martin Tynan will have an In-Car camera. 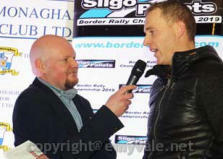 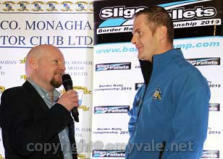 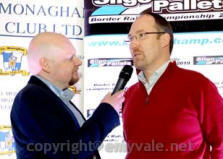 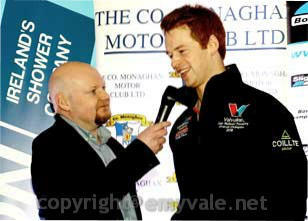 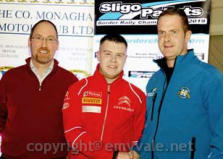 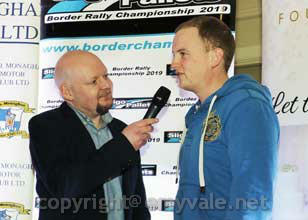 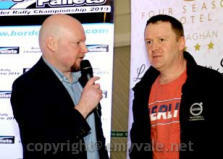 The launch was conducted by Sean McCaffrey who interviewed a number of people involved as organisers or participants. We hope you will be able to hear some of the chat by clicking on the images below of Conor Maguire, David Moffett, Josh Moffett, Gary McPhillips, Owen Corr, James Wilson and Arthur Kierans. Prior to the speeches a number of drivers displayed their cars in the front of the hotel. 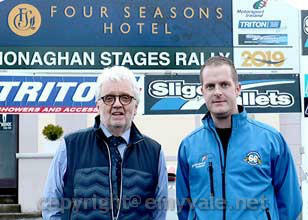 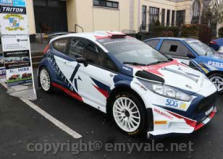 The Rally will be held on Sunday April 28th with Recce on Saturday. Owen Corr, COC gave an idea of the area where the stages will be run with the loop returning the cars to the service area as last year. 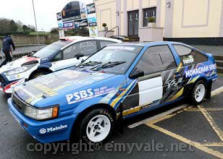 A great deal of time and energy has gone into the preparations and spectators are asked to obey marshals and instruction for everyone’s safety.